There is now documented, slam-dunk, incontrovertible evidence that the state Legislature is up to its eyeballs in a humongous pork scandal of its own. As if the City Council's wanton abuse of so-called member items wasn't sickening enough, Attorney General Andrew Cuomo on Tuesday produced facts that show Albany lawmakers have been funneling tens of millions of dollars to deeply questionable, if not outright bogus, causes. 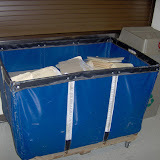 By long tradition, the Assembly and Senate appropriate huge slush funds for distribution almost any way they see fit. The total now runs to roughly $170 million a year. Virtually every lawmaker gets a chunk for pals in the home district. And they all swear up and down that they give the taxpayers' hard-earned money only to the most deserving groups. Groups that urgently need help so seniors don't go hungry and Little Leaguers can play ball and neighborhoods can be beautified. The lawmakers also protest that the many proven cases of pork going to fly-by-night outfits - packed with political cronies and spending money to no known purpose - are bad apples that should not spoil the barrel. Wrong. The barrel is filled with rot. 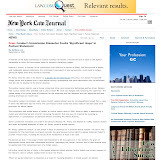 In reviewing grants earmarked in 2006 for about 6,500 groups, Cuomo imposed simple requirements on proposed recipients. Before collecting tax dollars, they'd have to certify, under penalty of perjury, that they would spend the money on a valid public purpose, that they do not employ friends or family of the sponsoring lawmaker and that they are up to date on their tax filings. Not a lot to ask, you would think. Well, so far only 2,756 of the groups selected by lawmakers have satisfied Cuomo's standards. An additional 1,026 were rejected. And, most astonishing, 2,700 groups have not come forward to claim grants they were awarded more than two years ago. These organizations have turned their backs on $78 million. Suddenly, when the specter of perjury entered the picture, they decided they were better off leaving the money alone. Suddenly, freedom from prison was more important than free money. And those services that were once so vital to the public weal, well, maybe they weren't so necessary after all. So, a tip of the hat to Cuomo, who's still on the case. He has yet to reveal the names of the runaway groups. He says he will do so, and we look forward to reading the names forthwith. And to identifying legislators who conspired to rip off taxpayers. 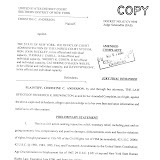 A Legal Services attorney facing a slander suit over a letter he wrote requesting that the city's Housing Authority delay a case because of a party's mental illness and incapacity cannot claim the judicial-proceedings privilege defense, as the letter was written merely as a "friend of the court," a Manhattan judge has ruled. 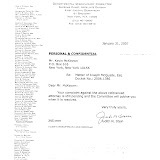 After learning of the letter, plaintiff John E. McBride filed the present slander suit. 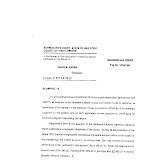 Defendant Brent Meltzer, a senior staff attorney at South Brooklyn Legal Services, moved to dismiss, citing the absolute privilege given to statements made in judicial proceedings. 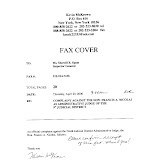 Manhattan Civil Court Judge Cynthia S. Kern denied Mr. Meltzer's motion, ruling that because he did not represent Mr. McBride in the Housing Court action the privilege did not attach. 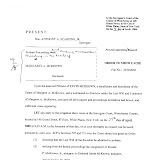 "In the letter, Meltzer clearly states that he is not presently representing plaintiff in the Housing Court proceeding and that he is writing the letter 'as a friend of the court,'" Judge Kern wrote in McBride v. South Brooklyn Legal Services, 062764/07. "Thus, Meltzer was not plaintiff's attorney, a party, witness, judge or juror in the Housing Court proceeding." All three officials named as defendants in Chief Judge Judith S. Kaye's lawsuit to compel an increase in judicial salaries have retained counsel, it was learned Friday. Governor David A. Paterson and Assembly Speaker Sheldon Silver, D-Manhattan, have retained Richard H. Dolan, a former Eastern District prosecutor. Separately, Senate Majority Leader Joseph Bruno, R-Brunswick, has hired David L. Lewis, who is on the Senate Republican counsel's staff and is also a partner at Lewis & Fiore. 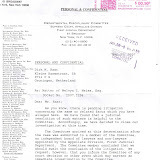 Mr. Dolan, a founding member of 16-lawyer Schlam, Stone & Dolan, said he has never met either Mr. Paterson or Mr. Silver, and was hired by Mr. Paterson's counsel, David Nocenti, without being interviewed. 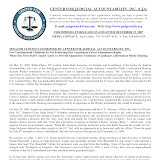 In addition to his latest assignment, Mr. Lewis represents the Senate Committee on Investigations and Government Operations in its litigation to obtain internal Spitzer administration records about efforts to use the State Police to discredit Mr. Bruno. Mr. Dolan, together with his partner, Harvey M. Stone, write the Law Journal's "Eastern District Roundup" column. 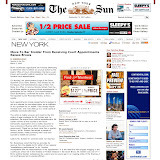 April 27, 2008 -- New York's judges are waging war on Sheldon Silver and the state Legislature. Judges across the state are engaged in a "rule-book slowdown" and refusing to hear cases involving firms that employ members of the Assembly and Senate, The Post has learned. The protest follows years of lobbying for a pay raise, which has gotten the state's 1,300 judges nothing but broken promises and a wage that, when adjusted for cost of living, ranks 49th in the nation. And the angriest jurists are trying to expand the effort by recruiting recalcitrant colleagues in closed-door meetings and e-mails sent across the state. With titles like "How to Get Our Salary Adjustment," the e-mails have included a "blacklist" - obtained by The Post - naming 50 state legislators who are registered as attorneys and the firms where they are employed. Banding together to tie up cases from lawmakers' firms was also discussed at an April 8 meeting of New York City judges at Enzo's Restaurant in The Bronx, one judge told The Post. There was no resolution on the plan that day, the source said. One longtime court insider described the situation as a "rule-book slowdown" against the lawmakers and said the judges were playing "hardball" to try to force their first pay raise since 1999. "It's reminding the firms that [the judges] have the power," the source said. A prime target is Assembly Speaker Silver, blamed by many judges for refusing to raise their annual income from $136,700. That rate dates to 1999, when it went up from $113,000. The Manhattan Democrat works for the high-profile firm Weitz & Luxenberg, which specializes in asbestos and personal-injury lawsuits. The firm has about 2,200 cases pending across the state - 77 percent of which have lingered in the system longer than the court system's 30-month timetable for disposing of cases, according to the Office of Court Administrations Web site. Two upstate judges told The Post that they recently recused themselves from cases involving Silver's firm because of their anger over the stalled pay raises. "I think the speaker is a slug," said Cattaraugus County Judge Larry Himelein, a Democrat who said he couldn't be fair to Silver's firm. "The whole New York state political process is a joke." Cattaraugus County Judge Michael Nenno, who last year joined three other judges in suing the state for a pay raise, also said he felt "some degree of animosity" toward Silver. "You're in for a penny, you're in for a pound, so if I wouldn't let the speaker appear before me, I wouldn't let anybody from his firm appear before me," Nenno said. Silver's spokesman declined to comment. Under court rules, judges do not have to offer an explanation when they recuse themselves from cases. 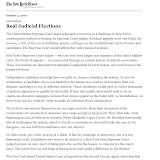 But Justice Arthur Schack of Brooklyn Supreme Court - who was part of another pay-raise suit against the state last year - last month issued a lengthy opinion explaining why he had refused to consider a real-estate lawsuit involving a firm that employs state Sen. Craig Johnson (D-Nassau County) and Assemblyman Marc Alessi (D-Suffolk County). "Thanks to our legislators, like Senator Johnson and Assemblyman Alessi, it appears that our judges are the Rodney Dangerfields of government," he wrote. 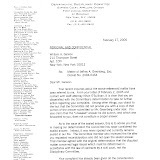 The e-mail "blacklist" began circulating in late 2006 and has been expanded and updated since then, several recipients told The Post. It was sent out again earlier this month. Oneida County Judge Michael Dwyer and Onondaga County Court Judge Joseph Fahey were instrumental in compiling the list, sources said. Neither returned a call for comment. 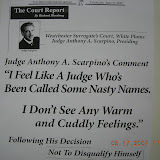 Then-Nassau County Supreme Court Justice Joseph DeMaro - a co-plaintiff with Schack - sent out his own e-mail, according to one report, saying, "Re-check the obituary - you died in the last few days" if you are not angry enough to get off cases where legislators' law firms appear. 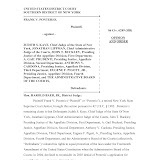 Sources said that the recusal effort is much stronger upstate but that its effectiveness was limited because the large number of judges in New York City means cases here can be easily reassigned. 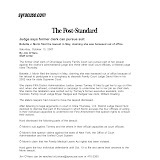 As a result, upstate judges have lashed out at their city colleagues as "wusses," one judge said. Officially, judges say the recusals are about avoiding any conflict of interest because of the ongoing pay dispute. But the state Advisory Committee on Judicial Ethics has repeatedly tossed out that rationale. 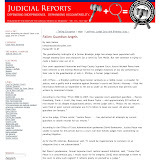 In opinions submitted last February and in September, the committee said the pay dispute alone, as well as lawsuits by individual judges, were not reason enough for recusal. A third opinion in December maintained that judges should only recuse themselves if they "genuinely" believe they can't be fair because of the controversy. But the issue has amped up since April 10, when Chief Justice Judith Kaye sued Silver, Senate Majority Leader Joseph Bruno, Gov. Paterson and the entire Assembly and Senate on behalf of all state judges. Her suit demands a raise to $169,300, the current salary of federal judges. 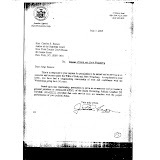 The state's administrative judges appealed to the advisory committee after an April 15 meeting at the state Judicial Institute in White Plains seeking a positive ruling on the conflict of interest issue. Among the other judges who have refused to hear cases involving lawmakers' firms are Rockland County Supreme Court Justice Margaret Garvey, Erie County Supreme Court Justice James Dillon, Erie County Supreme Court Justice Patrick Nemoyer and Erie County Family Court Judge David Brockway. They didn't return calls for comment. State Sen. John DeFrancisco (R-Syracuse), a lawyer and chairman of the Senate Judiciary Committee, called the e-mail campaign "very troubling" and said the judges' rationale for recusing themselves "doesn't ring true." Judges who have been denied a pay raise for more than 10 years are protesting for more cash by slowing down New York's courts. Renegade law enforcers are refusing to take cases from firms that employ members of the Assembly and Senate, pols told the Daily News Saturday. "It's happening," said state Sen. George Winner (R-Elmira), who is also an attorney. "There's a family court judge . . . refusing to hear cases where myself or anyone from my firm is involved. "It's absolutely outrageous, and it is not helping their case. I voted for the pay raise four times," said Winner. "What else do they want from me?" State lawmakers set aside $48 million for raises earlier this month - but failed to introduce a bill to release the money. They are refusing to make the payout until their own pay is hiked. The state is facing an estimated $3.6 billion budget shortfall next year. A New York judge takes home between $108,800 and $156,000 a year. "Anybody with any sense at all is completely embarrassed at the way we treat our judges," said state Sen. Eric Schneiderman (D-Manhattan). "They have every right to be angry and frustrated, but I think it's just a few isolated members of the bench." In villages, towns and especially school districts throughout the Lower Hudson Valley, property owners are crying foul at tax increases that were once considered modest. Not in Pomona. There, a 70 percent tax hike is proposed for the village's 2008-09 budget. The increase is tied to rising legal costs and a pricey acronym - RLUIPA, or the Religious Land Use and Institutionalized Persons Act. That's the legal tool that the Rabbinical College of Tartikov wields as it tries to move through a rigid land-use process in the village, where it wants to establish a rabbinical college on what now is 130 acres of mostly open land. Actually, depending upon who's speaking, RLUIPA becomes either a "shield" or a "sword." In any case, village residents have strenuously objected to the Tartikov effort. Everyone's deeply lawyered-up, and no one's likely to blink anytime soon. That's too bad. Even though homeowners seem more than willing to back a budget that will send their property tax bills soaring, it is still disconcerting to see a municipality bleed money this way. 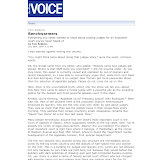 To call for Pomona and Tartikov to talk out their issues has become a waste of breath, ink and effort. In fact, the current village board majority was swept into office in March 2007 in large part on the members' pledge not to budge in the face of Tartikov tactics. 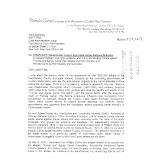 The Pomona Village Community Party team hired its own legal expert to address the Tartikov plan even before the election win. Of course, Tartikov has its own list of leading legal experts. The rabbinical college's prospective students, all rabbis who are married, many with families, would live on campus during their 15-year course of study. Tartikov has floated plans to house 250 students, but has undertaken environmental studies for a development that could support up to 1,000 students on 130 acres, an overwhelming concept for a rural village of single-family homes. No, a resolution through negotiation, discussion or agreement with the landowner and the village is not expected. Unfortunately, the case will likely end in court, many years and hundreds of thousands of dollars in legal fees from now. Or perhaps more than that. Pomona's RLUIPA experience is quite different from the Village of Mamaroneck's losing effort. There, the mayor's re-election bid was upended by a RLUIPA challenge that turned into a $4.6 million settlement with the Westchester Day School (which could have sought four times that in legal fee reimbursements). That was an easy call. The Westchester Day School case could have been a primer for villages in how not to make land-use decisions. A U.S. District Court, in a ruling later upheld by the Second Circuit Court of Appeals, found that the village had refused the school's expansion plans, in violation of RLUIPA's broad protections of religious rights. Familiar to both locales is the limb that all municipalities go out on when then venture into RLUIPA territory. Just what kind of land use is protected or considered a true "religious use" under the federal act? Gosh if local governments knew for sure. 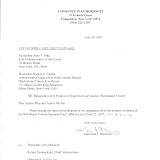 Some believe that the Tartikov matter may become a test case for RLUIPA in the Supreme Court. The very thought has dollar signs written all over it. Barring that, it would hardly hurt if Congress would review the 2000 legislation, to ensure the measure gives sufficient guidance to religious groups and municipalities, and achieves its stated objectives. ALBANY -- Another Long Island lawyer had his state pension plans altered by Comptroller Thomas P. DiNapoli. 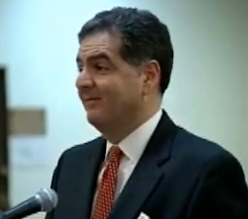 DiNapoli said this morning that hes suspended the $106,700 annual payout to Albert DAgostino. The action is part of DiNapolis on-going review of the records of every attorney in the Common Retirement System. DAgostino had received pension service credit for work with Nassau County, Lawrence Union Free School District, Valley Stream Union Free School District, North Merrick Union Free School District, the Town of Hempstead and the Village of Valley Stream. DAgostino retired in October 2000. DiNapoli and Attorney General Andrew Cuomo are investigating how lawyers and other professionals who are not government employees, but work under contract, have gotten into the public pension system via loopholes or fraud. Last month, DiNapolis office suspended the $61,459 annual pension of Lawrence Reich after an audit by DiNapolis office found five school districts inappropriately reported Reich as an employee. Four lawyers from the Albany firm of Girvin and Ferlazzo were also removed from the pension system, while a fifth lost partial retirement credit, after DiNapoli concluded they were improperly listed as BOCES employees for the purposes of getting the retirement benefit. Roger Witten, a partner at Wilmer Hale, recalls attending legal conferences a decade ago on corporate bribery, his specialty, that had maybe 60 people in the audience, and half were speakers from the various sessions. 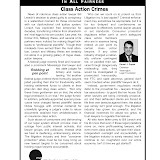 But last fall, when he got up to speak at the big annual confab here sponsored by the American Conference Institute, Witten said more than 400 people had packed into the hotel ballroom, including scores of general counsels and chief compliance officers seeking the latest advice on how to keep their companies out of trouble and swarms of high-priced lawyers only too eager to help them. For most of the 30 years since the passage of the Foreign Corrupt Practices Act, advising companies on compliance and, on rare occasions, defending them against prosecution, has been a niche business in most corporate law firms, part-time work for a partner or two. But these days, FCPA business is booming, a welcome growth area for Washington law offices just as work on mergers and securities offerings has begun to wane. You can't go into a business class lounge at the international terminals at Dulles Airport without running into at least one lawyer headed to Europe or Asia to conduct an internal investigation of a possible bribe or kickback for a corporate audit committee. And law firm Web sites now boast entire practice areas devoted to advising multinational companies on how to design and implement compliance systems meant to deter and ferret out corrupt practices. And it's not just the lawyers. Michael Hershman, president of the Fairfax Group in McLean, said that in the past two years, FCPA work has been the big growth area for his investigative firm and now accounts for 60 percent of its revenue. "It is a significant part of our business, and it is becoming even more significant," agreed Dan Karson, executive managing director of Kroll, which bills itself as the world's leading risk consultancy. "It's still very much the flavor of the month." Also sharing in the bonanza: accounting firms, forensic computer specialists and a growing army of compliance consultants. As it happened, Hershman was calling me yesterday from Munich, where he's participating in the mother of all corruption investigations -- the internal probe by Siemens's supervisory board of widespread ethical misconduct. The probe, spearheaded by the New York law firm Debevoise & Plimpton, has already led to the dismissal of the German conglomerate's chief executive and, just Wednesday, the resignation of the head its medical equipment unit. More than $2 billion in suspicious transactions in more than 60 countries have been identified, and criminal investigations are ongoing in at least 10 countries, including the United States. The costs to the company are staggering. Siemens has already been fined nearly $300 million by German courts for bribes paid in Nigeria, Russia and Libya, and that figure is almost sure to reach into the billions. And as of September, the company reported that it had spent more than $500 million for outside advisers working on the matter. According to legal journals, Debevoise alone has billed Siemens more than $100 million. While no other case comes close to Siemens's in scale, these internal probes don't come cheap, ranging from $1 million to $20 million. The Justice Department and the Securities and Exchange Commission, the agencies charged with enforcing the anti-bribery law, have estimated that there are as many as 70 investigations ongoing. That doesn't include the dozens of internal company probes that haven't been reported to the government, and may never be. Why is all this happening? Several reasons. The most obvious, of course, is that business has become more global, with many more companies setting up shop in countries where bribery is culturally accepted, if not perfectly legal. But equally important has been a step-up in enforcement -- 38 cases brought last year, compared with fewer than 10 in most previous years. At the Justice Department, a team that used to have the equivalent of two people assigned to FCPA now has as many as 12 prosecutors, assisted by a new team of FBI agents dedicated to these cases. Both agencies are receiving lots of valuable help from foreign governments since the signing of a global convention that for the first time made corporate bribery illegal in other countries and gave U.S. investigators access to secret bank accounts and foreign tax records. But even those changes would not have generated the increase in enforcement actions if it hadn't been for the rush of confessions from the companies themselves. Consistent with its general approach to corporate crime, the Bush administration had made clear it would be willing to accept significantly reduced penalties if companies voluntarily disclosed violations rather than covering them up. Voluntary disclosure also got a push from the post-Enron Sarbanes-Oxley Act, which, among other things, required corporate directors to pay particular attention to "internal controls" -- a responsibility that includes not only accounting standards but ethical ones as well. If for no other reason than to protect themselves from legal liability and attacks on their reputations, directors now are quick to order up an outside investigation whenever even the hint of bribery is alleged by customers, employees or competitors. And don't think law firms aren't playing off those fears by aggressively marketing their services as investigators, risk mitigators and compliance counselors. The result is sudden flood of labor-intensive legal work for both partners and associates, particularly in the local offices of big international firms. One longtime practitioner estimates that the FCPA segment has grown tenfold in the past decade, with lots of litigators and white-collar defense attorneys now jumping into the act. And while it is likely to peak in the next year or two, FPCA work, along with the coming flood of subprime mortgage litigation, should be enough to keep Washington's legal industry humming, even as the rest of the economy slips slowly into recession. Steven Pearlstein can be reached at pearlsteins@washpost.com. Fancy Word for Court Corruption: "Earwigging"
A panel of judges and lawyers told University of Mississippi law students Tuesday that "earwigging" is not OK and used the recent judicial bribery case involving Richard "Dickie" Scruggs as an example. Law School ethics assistant professor Ben Cooper pointed out that during a recent hearing where Scruggs pleaded guilty to conspiring to corruptly influence Circuit Court Judge Henry Lackey for a favorable ruling, Scruggs said he had no intentions of bribing Lackey in the beginning and the whole thing started out just to earwig the judge. Earwigging is when a lawyer or someone involved in a case talks to the judge outside of the courtroom about the facts in the case, usually with the intention of influencing the judge. "The message seemed to be that while bribery was bad, a little earwigging isn't as bad," Cooper said of the Scruggs case. "Earwigging is generally forbidden." The panel consisted of Lackey, Cooper, Chief U.S. District Court Judge Michael Mills, local attorney Tom Freeland and assistant law profession Mercer Bullard. "You can talk to a judge about football games, 'American Idol' or even your love life," Cooper said. "But when it comes to a case before the judge, that is off limits ... It comes down to fundamental issues of due process and fairness. We want judges deciding cases based on law ... we want fair process." The ethics panel was set up in response to the ethical and moral issues brought to light during the Scruggs case, Bullard said. 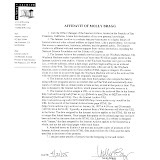 Scruggs, his son, Zach Scruggs, law partner Sidney Backstrom, former New Albany attorney Timothy Balducci and former Mississippi state auditor Steven Patterson were indicted in November for attempting to bribe Lackey with $40,000 for a favorable ruling in a lawsuit against Scruggs. All five men have pleaded guilty and await sentencing. The younger Scruggs pleaded guilty to a reduced charge of misprision of a felony — which means he had knowledge of a felony taking place and failed to report it. 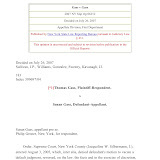 Freeland, who has been following the Scruggs case extensively on the Folo blog Web site, www.folo.us, brought up several cases where earwigging resulted in reversals by the Supreme Court. "It's destruction of the honesty of the legal system," Freeland said. Freeland also said the Mississippi Bar needs to be more proactive is pursuing earwigging complaints, and that there should be a stronger duty of attorneys to report such actions. "The only way out is to police ourselves," Freeland said. Lackey, who helped the government in its case against Scruggs, talked about how being a judge in a rural area can make it harder to avoid talking to people involved in the cases he hears. "Your circle of acquaintances gets larger," he said. "But your circle of friends becomes smaller." Lackey said early in his career as a judge, family and friends would call him "Judge" instead of Henry. "I would meet the 'can-a-mans' at the Post Office — those are the ones who ask, 'Can a man do this?' or 'Can a man do that?'" Lackey said. "It's indicative to a small town practice. It would be hard to tell them I can't discuss the case with them." Lackey told the audience of about 100 lawyers, judges and law students that they all had the opportunity to "do good." "When a client comes in your door, if the first thing you think about is how much money you will make off this guy or how much good can I do for him, that's the difference between lawyers," he said. "Someone once asked me what I'd want as my epitaph. I said, 'I guess I'd want it to say I was 'fair' — I don't mean mediocre now — but that I treated people fairly." Mills said despite recent events, earwigging and attempts to corruptly influence judges is not as common as "you all have been led to believe lately." He also spoke of another type of earwigging — blogging. "I know if something is said about someone local, and if I don't read it, my clerk will make sure I see it," Mills said. "It's going to get copied and put on a judge's desk. And I think people know that and I believe some write comments to influence the judges. I believe this is something the Bar and judges will have to address one day. I've started instructing jurors to not go home and Google anyone's name associated with the case." During the question and answer part of the presentation, some students brought up the ethical issues in judges being able to know who donated funds to their campaign. Lackey agreed it's difficult to not be influenced. Mills said he had no problem with knowing who gave him money. "I have a harder time getting over knowing who gave to the other guy," Mills joked. 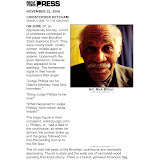 NY Judge Skips Jail. "Fed Chatting?" April 23, 2008 -- A former judge, accused of looting his elderly aunt's assets, copped a plea yesterday to a misdemeanor. Michael Garson, 63, yesterday admitted possessing a forged document in a no-jail plea deal that spared him a possible five- to 15-year sentence for allegedly ripping off his 92-year-old aunt. Garson has paid back $219,000, resigned his law license and agreed to give up any inheritance from his aunt. Our country teaches, by example, corruption. Public Trust and ethics matter little, trumped by the dollar. We teach, sadly, personal and public greed. Those charged by history to set examples for personal and public behavior instead, by their actions, guide future generations to sell their soul, public duty and any sense of trust. 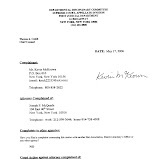 On April 1, 2008, we reported "New York Ethics Scandal Tied to International Espionage Scheme," a story involving high level, and dirty, players from both major political parties. Public Corruption is a National Problem. Ask your political candidates what they are doing about it. For more than two decades after he allegedly furnished an Israeli operative with secrets about U.S. nuclear initiatives and sensitive weapons programs, Ben-Ami Kadish lived unnoticed by law enforcement authorities in suburban New Jersey. Until yesterday, that is, when Kadish, 84, was arrested at his home, taken to a federal courthouse in Manhattan and charged with four counts of conspiracy allegedly for serving as an foreign agent and allegedly for lying to the FBI about a recent telephone conversation he had with his alleged Israeli handler. Kadish, a mechanical engineer, worked at the U.S. Army's research arsenal in Dover, N.J., in the early 1980s. He routinely checked classified documents out of a library there and passed them to an unnamed Israeli official who had provided a list of what he wanted, according to a four-count criminal complaint the FBI filed yesterday. 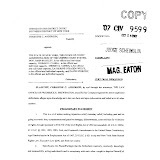 The official photographed pages related to nuclear weaponry, the F-15 fighter jet program and the U.S. Patriot missile defense system, according to an FBI affidavit on which the complaint is based. Kadish's actions appear to have escaped detection for years even though his handler allegedly also collected classified information from Jonathan Pollard, a former Navy intelligence analyst. Pollard is serving a life sentence in a federal prison in Butner, N.C., after pleading guilty to an espionage-related crime in 1986. "It's a fascinating case of another agent in place, another sleeper, with the very same handler," said Joseph E. diGenova, the former U.S. attorney in the District who prosecuted Pollard. "We always suspected there were other people. His tradecraft was apparently better than Pollard's." DiGenova said the espionage, which the charging documents indicate ceased in 1985, doubtless have come to the government's attention because of wiretap evidence obtained by the FBI and federal prosecutors in Manhattan. 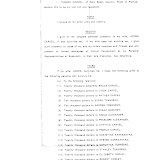 FBI agents first interviewed Kadish last month about his activities at the Army's Picatinny Arsenal, where he worked between 1963 and 1990, according to the filing. Kadish, a U.S. citizen who was born in Connecticut, told the agents that he "borrowed" classified documents at the urging of his handler, who encouraged him to help "protect Israel" by sharing papers that had a "direct correlation to Israel's security." He accepted only small gifts and occasional family dinners in exchange for his services, the FBI said. Kadish told Special Agent Lance Ashworth that between August 1979 and July 1985, he provided the handler with 50 to 100 documents, according to the affidavit. The handler is identified in the criminal complaint only as "co-conspirator 1," but he has been named in Israeli publications and by a former prosecutor as Yosef Yagur. He lived in the Riverdale section of the Bronx and worked as an adviser on science affairs at the Israeli Consulate in New York. Yagur left the United States in November 1985, shortly after Pollard was charged with espionage-related offenses, and has never returned. The handler called Kadish's home at least 22 times between July and November 1985, according to an FBI account of the phone records. The two men have since allegedly maintained contact through periodic e-mail messages and phone calls. They met in Israel four years ago, but their dealings since 1985 have been "purely social," Kadish told investigators. 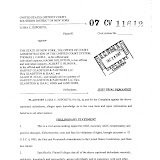 The handler and Kadish renewed their ties on March 20, according to the FBI affidavit, after federal agents interviewed Kadish for the first time. "Don't say anything," the handler allegedly said. "Let them say whatever they want. . . . What happened 25 years ago? You didn't remember anything." The next day, FBI agents again questioned Kadish, who allegedly denied the call had taken place. His statements eventually became the basis for two criminal conspiracy charges that accuse him of hindering an investigation and of lying to law enforcement officials. He was also charged with conspiracy to serve as an Israeli agent and conspiracy to disclose documents related to U.S. defense programs. A federal magistrate judge in New York released Kadish yesterday afternoon on a $300,000 personal recognizance bond secured by his home in Monroe Township, N.J. He was required to surrender his passport, and he will not be allowed to travel beyond New Jersey and New York. Bruce Goldstein, a defense lawyer for Kadish, did not return calls. David Siegel, a spokesman for the Israeli Embassy, said that "we were formally informed of the indictment by the relevant authorities," but declined to comment further. Staff researcher Julie Tate contributed to this report. A former high-ranking official in the Justice Department pleaded guilty yesterday to accepting thousands of dollars worth of meals and sports tickets from Republican lobbyist Jack Abramoff in exchange for helping a variety of Abramoff's clients. Robert E. Coughlin II, the former deputy chief of staff of the Justice Department's criminal division, became the latest of more than a dozen public officials, lobbyists and congressional staff members to be convicted or to plead guilty in the wide-ranging federal investigation of Abramoff's activities. As part of his plea agreement, Coughlin, 36, agreed to cooperate with investigators, making him a potentially important witness in the ongoing scrutiny of Rep. John T. Doolittle (R-Calif.). Coughlin acknowledged performing a variety of official acts for Kevin A. Ring, a key member of Abramoff's lobbying team at Greenberg Traurig and a former legislative aide to Doolittle. Coughlin and Ring are longtime friends who worked together on Capitol Hill a decade ago. 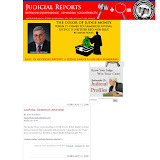 Coughlin admitted violating the federal conflict-of-interest statute while he served in the department's offices of legislative affairs and public liaison between March 2001 and October 2003. According to court papers filed yesterday, he leaked department information, attended meetings and contacted his Justice colleagues to help clients of Abramoff and Ring. Federal investigators are scrutinizing Doolittle and his wife, Julie, who owned a consulting firm that was hired by Abramoff and Greenberg Traurig to raise money for a charity Abramoff founded. Ring, while working for Abramoff, was an intermediary in the hiring of Julie Doolittle's firm, Sierra Dominion Financial Solutions Inc., people familiar with the investigation have told The Washington Post. Also unresolved is an investigation of former House majority leader Tom DeLay (R-Tex. ), whose wife, Christine, worked for a lobbying firm that received client referrals from Abramoff. Coughlin told U.S. District Judge Ellen S. Huvelle yesterday that he already had met at least once with federal investigators. Ring wined and dined Coughlin on 25 occasions at pricey restaurants, primarily Signatures, a downtown establishment that was partly owned by Abramoff. Coughlin also accepted from Ring 20 tickets to seven sporting events at the Verizon Center, Oriole Park at Camden Yards and FedEx Field, where Abramoff leased luxury suites; five tickets to three concerts; and one round of golf, the documents said. Prosecutors estimated the value of the gifts to be about $6,180, but Coughlin's estimate is about $4,800. Coughlin helped Ring and Team Abramoff in efforts to secure $16.3 million from a division of the Justice Department to build a jail for the Mississippi band of Choctaw Indians, one of Abramoff's clients, and in the process waive a competitive-bidding requirement. Initially, Justice approved a $9 million grant. According to the court filings, which included excerpts from e-mails, Ring often sprinkled meal invitations with requests for aid. He invited Coughlin to attend an April 2001 meeting at Justice about the Choctaw jail grant "so some of the clowns there know that I have friends, if you get my drift." After that meeting, Ring treated Coughlin and his wife to a $300 meal at Olives. 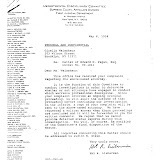 When the grant was approved a year later, Ring sent Coughlin an e-mail with the subject line: "Choctaw CHA-CHING!!!!" "Thanks is not strong enough," Ring wrote to Coughlin. "We need to celebrate this issue finally being over." Three days later, Ring bought Coughlin lunch at Signatures. 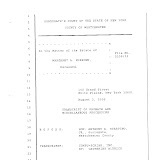 At Ring's request, Coughlin also helped with an immigration matter for a student attending Abramoff's yeshiva in Silver Spring, leaked internal deliberations regarding a bill affecting a client and contacted Justice officials regarding a land dispute between Indian tribes, among other things. Coughlin also identified Justice officials who the lobbyists could consider "friendlies," employees who would assist Abramoff in achieving results for their clients. Ring declined comment yesterday. Coughlin told prosecutors he did not recall having a substantive conversation with Abramoff, and said his main contact with the team was Ring, who has known Coughlin since 1992 and worked with him for then-Sen. John D. Ashcroft (R-Mo. ), who became attorney general in 2001. While Coughlin knew Ring was not footing the bill for gifts personally, he did not know that Ring was billing their social gatherings as lobbying expenses. "Coughlin also was unaware that Lobbyist A [Ring] held Coughlin out to be one of his most valuable lobbying contacts at DOJ," said the document, known as a statement of offense. 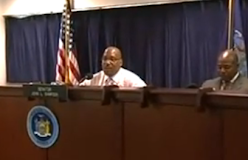 Coughlin failed to report the gifts on his financial disclosure forms for 2001, 2002 and 2003. 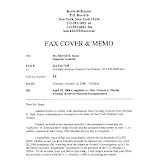 Twice, in March and April of 2002, Ring also discussed with Coughlin a possible job at Greenberg Traurig, the court filing said. In 2006, Coughlin won an award from then-Attorney General Alberto R. Gonzales for his efforts to prevent fraud and white-collar crime. Gonzales said at an awards ceremony that Coughlin deserved recognition for "exceptional dedication and effort to prevent, investigation, and prosecute fraud and white-collar crimes." Coughlin, who said he now lives in Texas, faces as much as five years in prison and a $250,000 fine, but his plea agreement indicates he is likely to face no more than 10 months and a $10,000 fine, or less, if he cooperates. Prominent Miami attorney Ben Kuehne, who federal prosecutors charged with money laundering in February, got good news and bad news last week. In a superceding indictment filed late last week, prosecutors dropped one charge against Kuehne obstruction of justice — but added another one —­ wire-fraud. The wire fraud conspiracy carries a potential sentence of 20 years, while the obstruction of justice charge carries a potential 10-year sentence. Kuehne's attorney, Jane Moscowitz of Miami, had no comment on the swapped charges, which were not posted on the electronic federal court docket Monday. 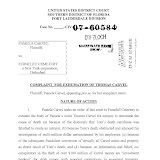 Kuehne's indictment stunned and outraged the legal community in Miami and throughout the country. A well-respected former member of the Florida Bar Board of Governors and former president of the Dade County Bar Association, Kuehne was charged in connection with his vetting of $5.2 million in legal fees for Miami attorney Roy Black in the case of Colombian drug trafficker Fabio Ochoa Vasquez. Black was not charged. The Justice Department alleges that Kuehne approved legal fees he knew were tainted. The funds turned out to be planted by undercover agents. Kuehne plead not guilty and his attorney strongly denies he had knowledge that the funds were tainted. In response to the case, the national criminal defense bar has pressed the Justice Department to promulgate rules outlining how far defense lawyers must go in vetting legal fees. This little piggy went to the City Council. His name was Erik Dilan. This little piggy got paid $122,500 a year, but that wasn't good enough. This little piggy got money for his wife, too. Because the money was available and because all the little piggies were getting theirs. What we recount is, unfortunately, no fable. Rather it is fact, as documented by the Daily News I-Team, which has been digging aggressively into the City Council's gross misuse of so-called member items. Dilan is among the many lawmakers who have been dipping into enormous slush funds as a way to distribute taxpayer moneys to favored organizations. The process has entailed phony official records, an utter lack of accountability, alleged thefts and blatant conflicts of interest. A Council member designates a group for funds, declaring it does valuable community service of some kind. With the lightest of scrutiny, the city writes a check. There's no audit on how the money is eventually spent. The recipients of Dilan's largess have included the North Brooklyn Community Council, a nonprofit organization based in a Bushwick storefront. Over the past three years, Dilan has directed a total of $187,500 to the group in increasing chunks of money, $30,000 then $57,500 then $100,000. The organization lists only one salaried employee on tax forms: executive director Jannitza Luna. And, surprise, surprise, Luna became Dilan's fiancée in 2006 and his wife in 2007. According to the group's last tax return, Luna was paid $45,000 in 2006. What she did for the money is unclear, as is what the organization has been doing. On the most recent city filing, it reported organizing youth sports teams, but Dilan said the group now focuses more on "immigrant services." That all this passed muster in the City Council demonstrates anew that lawmakers have run wildly out of control with member items. The City Charter requires Council members to disclose conflicts of interest, including whether family members would benefit from grants. Lawmakers must reveal conflicts on the record of Council meetings and, since last year, on special disclosure forms. (That the forms are riddled with grammatical errors is beside the point.) 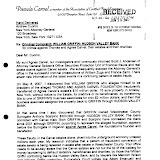 Dilan appears to have made the required reports, going so far on his written document as to deny, laughably, that steering money to North Brooklyn represented a conflict. A former state's attorney has been charged with stealing at least $60,000 from a prosecutors' union and public funds intended for crime victims and charities. L. Mark Hurley faces 198 counts of second-degree forgery, two counts of first-degree larceny and two counts of fifth-degree larceny. State troopers say he turned himself in at the Bethany state police barracks Wednesday. The 48-year-old Trumbull resident posted a $100,000 bond and is set to be arraigned April 23 at Middletown Superior Court. Hurley resigned as supervisory assistant state's attorney in Milford amid the investigation last year. 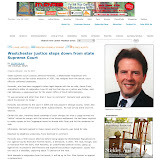 He also had been the treasurer of the Connecticut Association of Prosecutors. A national, nonpartisan, nonprofit citizens’ organization, working, pro bono, to protect the public interest in the integrity of our judicial selection and judicial discipline processes. 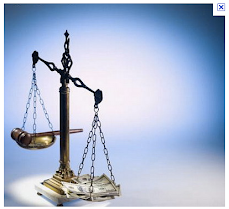 Its mission is to ensure that only the most qualified trial lawyers become, and remain judges. Sassower, a former president of the New York Women’s Bar Association, was herself honored in 1981 with a Special Award from NOW for “outstanding achievements on behalf of women and children”, and profiled as one of the “Feminists Who Changed America, 1963-1975, in a new book by the same name. CLICK HERE for Sassower’s feminist and professional credentials. 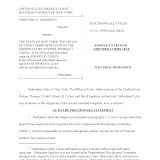 CJA’s website, www.judgewatch.org, posts the primary-source documents establishing Senator Clinton’s disqualifying conduct in office, accessible via the sidebar panel: “Elections-Informing the Voters.” That is where CJA’s prior press releases about the Senator’s misconduct are also posted. When attorney Jeffrey D. Cedarfield refused two judges' orders to commence jury selection in Waterbury Superior Court, he stated that he was fighting to secure a fair hearing for his client, Allstate. Instead, he jeopardized his livelihood. Cedarfield received a five-month suspension beginning May 1, and Hartford Superior Court Judge John J. Langenbach ordered him to send letters of apology to Waterbury Judges Salvatore C. Agati and Elizabeth A. Gallagher. Cedarfield will be automatically reinstated Oct. 1, under Langenbach's order. He was admitted to the bar in December 2000 and had no disciplinary history. "If we allow lawyers to ignore direct orders of the court, we're destroying the underpinnings of the entire judicial system," said Assistant Disciplinary Counsel Frank P. Blando, who prosecuted the case. In February, Cedarfield departed The Law Offices of Joseph Mulshine, in Simsbury, and opened his own practice in Plainville. "I regret the affront to the judicial system," he told the Law Tribune. "Having dealt with Attorney Mulshine as an outsider, I regret having ever been a flag-bearer for that firm." He declined to further discuss his time with Mulshine's firm. 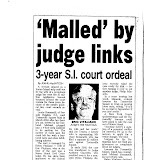 Mulshine did not return telephone calls for comment. Cedarfield was defending Allstate in an uninsured motorist case in Waterbury Superior Court. 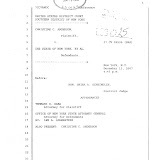 The dispute emerged from a pre-trial conference in Agati's chambers in August 2004 that Cedarfield did not attend. A colleague at Mulshine's office requested a continuance. 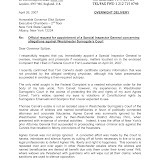 Plaintiff's counsel believed the continuance was intended to allow Allstate's lawyers to consider a settlement; it was understood that Allstate's lawyers would not conduct additional discovery or seek out additional expert witnesses, according to grievance officials' investigations. The following month, Allstate's lawyers disclosed another expert, and plaintiff's counsel filed a motion to preclude the witness. 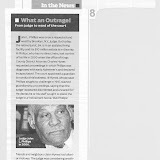 That matter came before Judge Elizabeth A. Gallagher in October 2006. In an effort to clarify the dispute over additional experts, Gallagher called for testimony from Judge Agati. His recollection of the meeting in his chambers matched that of the plaintiff's counsel, and Gallagher barred the additional witness. The Allstate lawyers then filed a motion to change venue. Judge Gallagher also heard that motion; that's when Cedarfield raised the possibility that Agati had spoken with the plaintiff's counsel about Agati's possible testimony outside the presence of anyone from the Mulshine firm. Cedarfield suggested that a conversation may have happened during the scheduling of the judge's court appearance. Judge Gallagher denied the venue change motion, and ordered jury selection to begin. "And at this point," Cedarfield told the judge, "I will refuse to commence jury selection because I just don't think it's right what's going on here." Gallagher responded: "I don't see how you're not getting a fair trial." She later added: "It makes no sense." "It makes sense to my client," Cedarfield replied. Gallagher then took the case back to Agati. "It's just unprecedented to have the presiding judge take the stand in a case," Cedarfield said to Agati. "That based on the information that I had, that an opinion was offered by yourself…that would have favored the plaintiff in that motion. There's always a risk of ex parte communications in scheduling testimony, if that were done. I don't know if it was." Agati then pointedly asked Cedarfield if he was alleging ex parte communications. "I'm saying, I don't know," Cedarfield responded. Agati then asked if Cedarfield understood the consequences. Agati said he could enter a default judgment for the plaintiffs, enter sanctions against Cedarfield or refer the lawyer to the Grievance Committee. "I'll give you one minute to think about it," Agati said. "Then tell me whether you still want to refuse to pick a jury." Cedarfield then said: "Yeah, I'm refusing, Your Honor." Agati entered default judgment and referred Cedarfield to grievance officials. The presentment order, filed last August, states that Cedarfield's evidentiary hearing was consolidated with a grievance complaint against Joseph Mulshine. But because there is no record of discipline against Mulshine, grievance officials are not permitted to discuss any possible complaint against him, said Chief Disciplinary Counsel Mark A. Dubois. Cedarfield, Agati and the Mulshine law offices also crossed paths in a three-year legal dispute involving Allstate's refusal to pay an expert witness $2,700. Agati told Cedarfield in a hearing last May that Cedarfield may become a witness for the purpose of explaining lengthy delays in Allstate's battle against payment to a Waterbury physician. Allstate agreed to pay the physician last June. April 20, 2008 -- The City Council's slush-fund woes have just begun - now comes the massive bill to taxpayers. The far-reaching investigation into the council's practice of doling out millions in the budget to nonprofit organizations will cost untold tens of thousands of dollars. Although the investigation has just begun to result in indictments, council Speaker Christine Quinn has already burned through nearly $95,000 of tax money on legal bills. Quinn signed a yearlong contract with white-collar-crime specialists Sullivan & Cromwell in October. But barely six months later, the council has spent all but $366.75 of a $95,000 retainer, The Post has learned. That contract was nearly exhausted by Feb. 7, when the council paid $59,083.25 in one bill to the $450-an- hour firm. 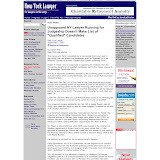 Meanwhile, Quinn has hired a $600-an-hour criminal lawyer, Lee Richards III, to represent her. And The Post reported yesterday that the speaker was weighing whether other council members questioned in the probe are eligible for their own tax-funded attorneys. The total tab would lay a crushing blow to the city budget. "Wow," said council Minority Leader James Oddo (R-Staten Island). "After the events of this past week, it's clear that this is going to run longer than some of us anticipated." Last week, two aides to Councilman Kendall Stewart (D-Brooklyn), Chief of Staff Asquith Reid and staffer Joycinth "Sue" Anderson, were indicted on charges they looted $145,000 in grant money that Stewart had earmarked for an after-school tutoring program run by Reid. CONCORD, N.H. - The state Supreme Court on Friday suspended Judge Patricia Coffey for three years after concluding she was complicit in a fraudulent property transfer and evasive and misleading to investigators. The unpaid suspension is 12 times longer than a disciplinary panel recommended, but even it falls short of what she could face. Gov. John Lynch has called on her to resign, and legislators are considering a bill that would oust her for having tarnished the integrity of the judiciary. An all-day hearing is scheduled for next Friday. Coffey, a Superior Court judge in Rockingham County, has admitted helping shield her lawyer-husband's assets as he was being disbarred three years ago. She said she realized then the state probably would demand that he pay thousands of dollars to cover the cost of investigation him. "We hold that the recommended three-month suspension must be increased to three years to re-establish confidence in the judiciary and protect 'the public from further acts of misconduct,'" the court wrote in a 4-1 decision. Justice Richard Galway dissented, saying Coffey should have been kicked off the bench indefinitely. 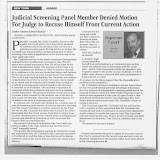 Coffey's husband, John Coffey, was disbarred in 2005 for exploiting an elderly client with dementia. Property John Coffey owned with his wife was transferred into a family trust four days before he was notified he had been found guilty of misconduct and would face discipline. The justices found that Judge Coffey participated in a fraud by transferring the property, disregarded an explicit court order to repay the costs of her husband's disbarrment investigation, and was evasive and misleading about her actions. The court's Judicial Conduct Committee investigates misconduct by judges and recommends punishment. 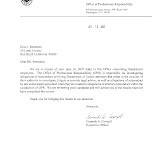 The committee's recommendation for censure and a three-month suspension for Coffey was based, in part, on its conclusion that she had cooperated with the investigation. But the high court said the record showed she was "not completely forthright." In his dissent, Galway said the court should have suspended Coffey indefinitely, the strongest punishment available to it. "The sanction imposed must take into account the concerns of future litigants who appear before Judge Coffey and question why they would need to follow the rule of law that she imposes upon them when she herself has not followed the law," Galway wrote. A man who answered the Coffeys' home telephone in Rye Friday afternoon said the judge wasn't there. Her lawyer, Russell Hilliard, did not immediately return a call seeking reaction. Judge Coffey recently asked permission to take on more outside work because she said her financial situation is perilous. She said she could lose her house during an unpaid suspension. The Supreme Court wasted little time turning her down. Coffey earns $130,000 a year, and rules permit outside earnings of 15 percent of that. ALBANY - Attorney General Andrew Cuomo said today he is expanding his probe of the fraud in the state pension system to include all 37 of the BOCES organizations in the state. Cuomo's move follows Comptroller Tom DiNapolis announcement yesterday that hed removed five attorneys who worked for an upstate BOCES from the state pension system after finding they'd been listed as working far more hours than they actually did. 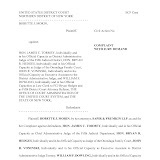 The BOCES subpoenas come in addition to those sent to hundreds of schools districts and thousands of local government entities. Cuomo is seeking informatoin on the benefits they provide to lawyers and other professionals who may not qualify as full-time employees. 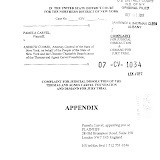 In the case of the five lawyers from the Girvin & Ferlazzo law firm whose pension privileges were revoked by DiNapoli, all worked on a very part time basis -- totaling just 196 days among them -- but each was reported to the state as having worked the equivalent of a full year. We have reason to believe some BOCES may have unclean hands in this situation and that there may have been financial benefits for the BOCES to list professionals as employees instead of as independent consultants, Cuomo said in a news release. There appears to be a chronic fraud that has occurred across New York State for many years, and we will work until we get to the bottom of it. Cuomo said that in many cases, attorneys are showing up on multiple BOCES and school district payrolls, and at least some did no actual legal work. New York State Comptroller Thomas DiNapoli has revoked four lawyers' memberships in the state pension system and canceled service credits for a fifth after determining they were not public employees, a spokeswoman said Thursday. The lawyers are all partners in Girvin & Ferlazzo, a prominent Albany law firm. Auditors found that all five had been reported as full-time employees of the Hamilton-Fulton-Montgomery BOCES, located west of Albany, when the five actually had worked a total of just 196 days in the 2006-2007 school year. One lawyer, auditors said, worked only four hours. The five were paid a total of $234,000 for the year, auditors said. "We determined that these lawyers were inappropriately classified as employees," said DiNapoli's spokeswoman, Emily DeSantis. The four lawyers whose pension memberships were revoked are: James E. Girvin, 52; Kathy Ann Wolverton, 44; Kristine A. Lanchantin, 48, and Jeffrey D. Honeywell, 49. A fifth lawyer, Salvatore Ferlazzo, 52, had 5.75 years of service canceled. He is the only one who has pension credits from another entity, and the comptroller is investigating that, DeSantis said. None returned calls for comment. Although DeSantis said it is not the first time the state comptroller has revoked pension credits, this is the first time such an action has been taken since the office began its statewide review of lawyers in the pension system. The comptroller's review was prompted by a Newsday story in February about Centerport attorney Lawrence Reich, who was falsely reported as a full-time employee of five school districts at the same time, while also collecting millions of dollars in retainer fees. The comptroller froze Reich's $61,459 annual pension and ordered him to return all payments he had been receiving since August 2006. 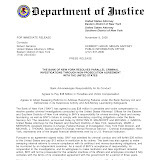 In addition, the Federal Bureau of Investigation, Internal Revenue Service, state attorney general and Nassau County district attorney all have launched investigations. Although none of the five lawyers had begun collecting pensions, each had accumulated substantial time in the state pension system. 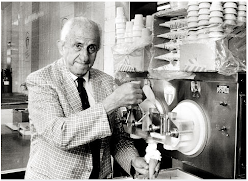 Girvin had 16.5 years; Honeywell, 15.75; Lanchantin, 15.75; Wolverton, 8.7, and Ferlazzo, 5.75 years. Auditors determined they were not employees because they did not work fixed hours, submit time sheets or physically work at BOCES, and they used their own equipment to do their work. In addition, BOCES management did not oversee their work. FBI: "Democracy and corruption cannot co-exist"
The FBI is investigating 19 corporate fraud matters related to the sub-prime lending crisis, the Director told litigators in a speech on April 17. A day after warning the Senate about a “tremendous surge” in the FBI’s mortgage fraud investigations, Director Robert Mueller talked in more detailed terms about the growth in both corporate fraud and public corruption cases at the annual conference of the American Bar Association's Section of Litigation in Washington, D.C. Despite limited resources, Mueller said that the FBI’s corporate fraud cases have grown more than 80 percent since 2003. Last year, we had more than 490 corporate and securities fraud convictions. 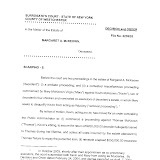 He predicted that the problem will only worsen because of the "ripple effect of the sub-prime crisis and its impact on the credit market.” The FBI, he said, has already “identified 19 corporate fraud matters related to the sub-prime lending crisis … targeting accounting fraud, insider trading, and deceptive sales practices.” And, we’re currently investigating more than 1,300 mortgage fraud matters. Acknowledging recent FBI missteps resulting from inadequate internal controls—and a new Office of Integrity and Compliance to identify risks before they become problems—Mueller said, “As we all understand, it is better for a company to self-report and remediate its own wrongdoing before the FBI and the Department of Justice become involved. Executives who let the situation escalate to the point of a sudden restatement—and a resulting loss of shareholder confidence—often do greater harm to the companies they are trying to protect than if they had exercised early intervention." The FBI also works to combat corruption in the public sector—our top criminal priority—because, as the Director pointed out in his remarks, “democracy and corruption cannot co-exist.” Currently, the FBI has more than 2,500 open public corruption cases, an increase of more than 50 percent since 2003. During the past two years alone, more than 18,000 public officials have been convicted. “The FBI,” Mueller said, “is uniquely situated to address public corruption. We have the skills to conduct sophisticated investigations. But more than that, we are insulated from political pressure. We are able to go where the evidence leads us, without fear of reprisal or recrimination.” In the end, Mueller said, “it does not matter if the corruption is national or local … if it is millions of dollars or merely hundreds. There is no level of acceptable corruption.” We encourage you to read the full text of the Director’s speech. And learn more about our efforts to combat both corporate fraud and public corruption. Good afternoon. It is a pleasure to be here among friends and colleagues. Anyone who follows the news these days, and sees repeated references to corporate fraud and public corruption, might think the nation is in the midst of a moral crisis. Have we, as a society, become more corrupt? Or have we in the FBI simply become more adept at rooting out fraud and corruption? Corruption, in one form or another, is nothing new. The so-called “robber barons” of the Industrial Age cheated each other, their competitors, and their consumers. During Prohibition, public officials who decried the vices of liquor by day were bootlegging by night. Even the so-called Chicago “Black Sox” of the 1919 World Series played their part in American history. Today, I want to talk about the need for integrity—integrity in the marketplace, in the boardroom, and in government. I want to focus on the importance of integrity in the FBI’s mission as well. And I would like to touch on your role in this ethical calculus. In the wake of September 11th, counterterrorism became the FBI’s top priority. Yet at the same time, we were confronted with a rash of corporate wrongdoing, including Enron, WorldCom, and Qwest. We needed to prioritize our resources to effectively combat both crime and terrorism. Today, we have more than 1,800 agents working nearly 17,000 white collar cases, from public corruption and financial fraud to health care and mortgage fraud. The number of corporate fraud cases we investigate has increased by more than 80 percent since 2003, despite the change in our priorities. We obtained more than 490 corporate and securities fraud convictions in 2007. Thirty-three insider trading indictments were returned against employees of companies such as Goldman Sachs, Morgan Stanley, Credit Suisse, and UBS Securities. A number of you may be more familiar with these cases than I am. Last month, five former executives of National Century Financial Enterprises were convicted of a $1.9 billion dollar fraud scheme. 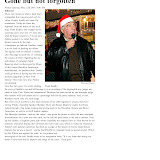 Last July, former Hollinger International CEO Conrad Black was convicted of racketeering, money laundering, and fraud. And in June, three former vice presidents at Countrywide Financial Corporation pled guilty to insider trading. As Wall Street analysts would say, business is booming for the FBI, and, by extension, for those of you who are defense counsel. The agents and analysts who work these cases do some of the most complex, tedious, and—ultimately—significant work we do for the American public. But we do not hold the slightest pretense that we could do this without the larger team—the Securities and Exchange Commission, the Financial Crimes Enforcement Network, and our partners in the United States Attorneys Offices, among others. Our success depends on these partnerships. We likely will see more corporate fraud cases in the months to come, because of the ripple effect of the subprime crisis and its impact on the credit market. And as housing prices continue to fall, more financial misdeeds will no doubt come to light. As financier Warren Buffett said in his annual letter to shareholders last month, “You only learn who has been swimming naked when the tide goes out—and what we are witnessing…is an ugly sight.” We are investigating more than 1,300 individual mortgage fraud matters. Perhaps more importantly, we have identified 19 corporate fraud matters related to the subprime lending crisis—cases that may have a substantial impact on the marketplace. We are targeting accounting fraud, insider trading, and deceptive sales practices. These investigations may well lead to other instances of fraud, from investment banks and private equity firms to hedge funds. We do not take these investigations lightly, nor do we open corporate fraud cases without careful consideration. We do understand the impact that public disclosure of a criminal investigation may have on a company’s reputation and economic standing. These investigations further emphasize the need for independent board members, auditors, and outside counsel. Shareholders rely on the board of directors to serve as the corporate watchdog. But often, we see conflicts of interest in the corporate suites. Board members may be beholden to the executives they are expected to oversee. Many directors may be current or former senior executives, with a mutual interest in maintaining the status quo. They may be key shareholders who want to improve the value of their investment. And if anything goes wrong, they may start circling the wagons, rather than sounding the alarm. Hearing anyone say they are surprised by such behavior is like the police chief in the movie “Casablanca” announcing that he is “shocked…shocked” to find gambling going on under his nose in Rick’s Café…just moments before he collects his roulette winnings from the night before. Many of you here today are those to whom business leaders turn for counsel. You are often one of the first lines of defense. You are the gatekeepers—the ones who must say, “This is the right thing to do.” I will say that we in the FBI have also had our share of missteps resulting from inadequate internal controls. And we understand that we need to do a better job of ensuring compliance in our own house. To that end, we have recently taken a page out of the private sector’s book. Last year, we created a Bureau-wide compliance program. The Office of Integrity and Compliance will help ensure that we comply with both the letter and the spirit of the laws and policies by which we are bound. As we all understand, it is better for a company to self-report and remediate its own wrongdoing before the FBI and the Department of Justice become involved. Executives who let the situation escalate to the point of a sudden restatement—and a resulting loss of shareholder confidence—often do greater harm to the companies they are trying to protect than if they had exercised early intervention. I saw executives who did not start out intending to break the law. They would argue they were playing by the same rules as everyone else. They began to believe their own explanations. But it is a slippery slope from behavior that skirts ethical or legal boundaries to behavior that crosses the line completely. It calls to mind the saying: If you jump out of a window on the 100th floor, and you seem to be doing fine as you pass the 40th floor, that doesn’t mean you don’t have a big problem. Rationalization will not provide much padding when you hit the pavement. I want to turn to public corruption for a moment. Unfortunately, the private sector has by no means cornered the market on greed. Public corruption is our top criminal priority, for the simple reason that it is different from other crimes. Corruption does not merely strike at the heart of good government. It may strike at the security of our communities. The vast majority of public officials are honest in their work. They are committed to serving their fellow citizens. Unfortunately, some have abused the public trust. We have more than 2,500 pending public corruption investigations—an increase of more than 50 percent since 2003. In the past five years, the number of agents working public corruption cases also has increased by more than 50 percent. We have convicted more than 1,800 federal, state, and local officials in the past two years alone. For a nation built on the rule of law—and on faith in a government of the people, by the people, and for the people—we can and should do better. Ultimately, democracy and corruption cannot co-exist. The FBI is uniquely situated to address public corruption. We have the skills to conduct sophisticated investigations. But more than that, we are insulated from political pressure. We are able to go where the evidence leads us, without fear of reprisal or recrimination. Many of our investigations are well known. Others may be familiar only to local residents, but they are no less important. For example, 22 individuals from the Robeson County Sheriff’s Office in North Carolina have pled guilty to drug conspiracy, racketeering, and fraud. A state legislator from Georgia pled guilty last month to laundering what he believed to be proceeds from the sale of cocaine. And a long-term undercover operation in Arizona snared nearly 70 military and law enforcement personnel for accepting hundreds of thousands in bribes. These individuals conspired to smuggle cocaine, drug money, and illegal immigrants across our southern border. But if you would sell your oath and your honor for drug money, where does one draw the line? For the right price, would such individuals permit terrorist operatives to enter the country? In the end, it does not matter if the corruption is national or local. It does not matter if it is millions of dollars, or merely hundreds. There is no level of acceptable corruption. The violation of trust is the same. The damage to the taxpayers is the same. We must continue to dedicate the resources necessary to investigate public corruption. For if we in the FBI do not handle such cases, no one will. Politicians who betray the trust of their constituents harm the integrity of our government. Executives who betray the trust of their employees and their shareholders harm the integrity of the marketplace. Left unchecked, corporate fraud and public corruption will rip the very fabric of our democracy. General George Patton once said that no good decision was ever made in a swivel chair. Integrity requires that we stay on course, that we stay true to principles of honesty, ethics, and transparency…without swinging back and forth to meet the demands of the day…without altering our position to suit the economic, political, or social climate. At the turn of the 20th century, Teddy Roosevelt took on the robber barons. He targeted corporate fraud and corruption, and commissioned what later became the FBI to continue that mission. Roosevelt asserted that “Character, in the long run, is the decisive factor in the life of an individual, and of nations alike.” These words ring true today. Character will be our deciding factor. It is my hope that by working together, we can reduce corporate fraud and public corruption. We each have a role to play. Together, we can bring to light the wrongdoing that threatens our economy, our security, and the welfare of our nation. Together, we can help create a culture of integrity. Thank you for having me here today, and God bless. April 17, 2008 -- Two City Council employees accused of ripping off cash from a council slush fund first revealed by The Post were arraigned in federal court yesterday - and US Attorney Michael Garcia promised a continuing "hard look" at the way lawmakers dole out dough to well-connected not-for-profit corporations and favored agencies. Asquith Reid and Joycinth Anderson, aides to Councilman Kendall Stewart of Brooklyn, were both still on the council payroll last night, despite being accused of ripping off at least $145,000 in taxpayer cash allocated for the "Donna Reid Memorial Education Fund" - whatever that might turn out to be. Actually, it might turn out to be the first glimpse at a scandal that could reshape the city's political landscape over the coming weeks and months. Already damaged by The Post's slush-fund revelations is Council Speaker Christine Quinn - whose assumed mayoral candidacy next year is suddenly looking a tad tentative. Meanwhile, both City Comptroller William Thompson and even Mayor Bloomberg himself stand to be tarnished by what appears to be a burgeoning scandal - the misuse of public money allocated to ostensibly not-for-profit social agencies. Both Bloomberg and Thompson have fiscal oversight responsibilities regarding these matters. Clearly, these haven't been well-exercised. According to Garcia's indictment, Reid, Anderson and other "criminal associates" dipped into a $356,000 allocation to the not-for-profit to pay for their own personal and political activities. The details are a little bizarre. * Former assemblyman and union hotshot Brian McLaughlin pleaded guilty to embezzling cash from discretionary monies that were supposed to go to, among other things, a Queens Little League. * Bronx Sen. Efrain Gonzalez is under indictment for swiping $423,000 from the coffers of a kids' charity he funded from public grants. * Former executives of Air America swiped $875,000 out of the largely state-funded Gloria Wise Boys and Girls Club to help prop up the struggling lefty radio network. Albany and City Hall pour billions into nonprofits every year. Indeed, the city funded upwards of $5.4 billion into so-called human-service contracts last year - a figure that includes both monies allocated through discretionary funds and standard agency procurement procedures. Quinn and previous speakers hid cash in funds, such as the "Community Partners" or the "Association of Concerned Veterans" funds - then shifted the money to suit their needs. How much was spent on the up-and-up and how much was stolen will be sorted out by Garcia and his prosecutors, with some assistance from city investigators. We wish him good hunting. State Police's role in Choppergate "inappropriate"
ALBANY - Gov. David A. Paterson's nominee to head the State Police yesterday called its role in the Choppergate scandal "an abuse of power" and promised a review of police assigned to protect state leaders. Harry Corbitt, a retired colonel with the State Police, said it was "inappropriate" for former acting superintendent Preston Felton to order documents be created to show Senate Majority Leader Joseph Bruno's use of state helicopters to attend political events. The documents eventually were used by then-Gov. Eliot Spitzer to generate negative publicity about his nemesis Bruno. "What happened to Senator Bruno was inappropriate ... 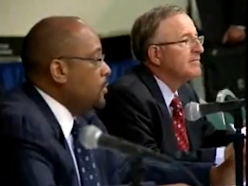 I understand abuse of power is a terrible thing," Corbitt said at a confirmation hearing. "I consider this an aberration." Corbitt also said he knew of nothing to support allegations that the State Police routinely engaged in politically motivated investigations of top officials. 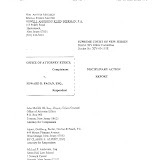 Responding to a published report, Paterson earlier this month authorized Attorney General Andrew Cuomo to make an inquiry and e-mail records were turned over. Corbitt plans to review the "executive services detail," which provides security for the governor and others. 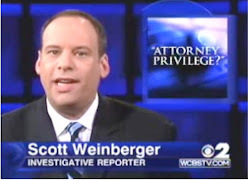 It has been criticized for apparently not reporting Spitzer's illegal use of prostitutes. Corbitt appeared shocked when Sen. Dale Volker (R-Depew), known for his interest in law enforcement, recounted being followed last year by "a Spitzer person, but probably not a trooper." Volker claimed he was spied on in an Albany coffee shop. The shady lawyer of rich widow Barbara Kogan was convicted Wednesday of arranging the execution-style rubout of millionaire antiques dealer George Kogan outside his girlfriend's pad. Manuel Martinez, 57, faces 25 years to life when he's sentenced next month. Prosecutors were mum on whether they now plan to target Barbara Kogan, 65, who collected $4 million in insurance money after the murder of her husband. The widow never testified in the bizarre, two-week trial, and an alleged hit man was never identified. Martinez reportedly collected $100,000 for hiring the hit man who fired three bullets into George Kogan on Oct. 23, 1990, as the victim lingered outside his girlfriend's E. 69th St. apartment. He died seven hours later. Martinez was "a lawyer who became a murderer," Assistant District Attorney Joel Seidemann told the Supreme Court jury in Manhattan. The jury deliberated three days before convicting the lawyer of second-degree murder and soliciting. Prosecutors said Martinez admitted his involvement in Kogan's death to his ex-wife and an ex-con pal. April 17, 2008 -- A crooked lawyer who hired a hit man so his client could get rid of her wealthy husband was convicted yesterday of the nearly two-decade-old murder. The sensational assassination of George Kogan took place on the Upper East Side in October 1990. He was shot three times in the back as he approached the front door of his mistress' East 69th Street apartment. He died hours later, with his girlfriend at his bedside. Prosecutors said the lawyer, Manuel Martinez, 57, set up the hit for his client, Barbara Kogan, who received of a $4 million insurance windfall. A jury deliberated three days in the tricky, circumstantial case complicated by the passage of 18 years. Kogan was a millionaire real-estate investor who had interests in a casino in Puerto Rico and in several Brooklyn buildings. Cops at the time said he was also embroiled in a divorce battle with his wife, from whom he'd separated in 1988. They had two grown sons, Scott and William. The year after the couple broke up, Kogan moved in with Mary Louise Hawkins, 28, a Manhattan publicist for the Kogans' antique store on East 76th Street. They lived in her apartment on East 69th Street. The alleged hit man has never been charged. Nor has Barbara Kogan, who is believed to be in Puerto Rico.